LSBU was last night recognised among the UK’s best for providing outstanding customer service to its students. 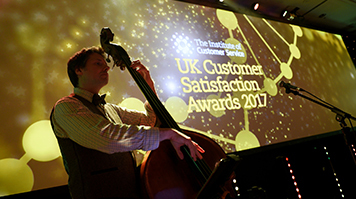 The Institute of Customer Service (ICS) shortlisted the University for the Quality Service Provider Award, which recognises organisations making customer service a priority. The shortlisting came after LSBU received four prestigious ServiceMark Accreditations from ICS last May, recognising the University’s Accommodation, Academy of Sport, Library and Learning Resources and Student Life Centre teams. With the focus of the University on outstanding customer service, LSBU has seen higher numbers of students re-enrolling, lower numbers dropping out of courses, employability rates rising and demand for support services increasing. LSBU Chief Operating Officer, Ian Mehrtens, said the ICS recognition was well-deserved by the hard-working teams who aim to improve services to students every day. “Being shortlisted for this national award shows just how dedicated all of our colleagues are to delivering great service for our student community,” he said. “We want to foster an environment for our students where they know they will be heard if they need assistance and we want to do everything we can to remove obstacles to our students’ learning. HR Deputy Director, Dr Markos Koumaditis attended the ceremony last night and congratulated Pension Insurance Corporation on winning the category.